…And always happening! Here’s a little look into some of our recent doings. 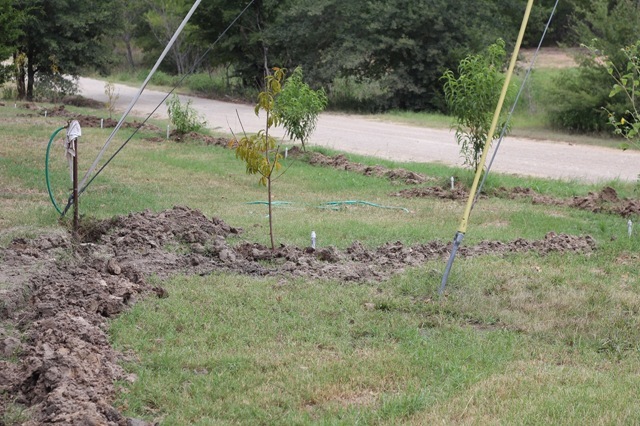 On the work side: Amy found a great deal on some peach trees which meant they had to be planted…and watered…and Brian decided dragging a hose is for the birds. 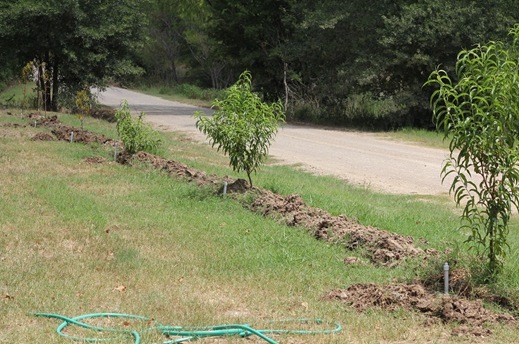 Thus an ambitious project ensued – putting in a watering system. 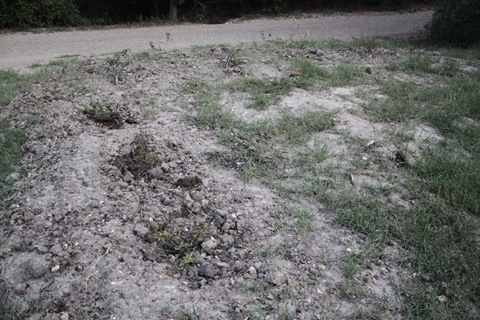 First we dug holes for the trees – making little foxholes for the kids to jump in. 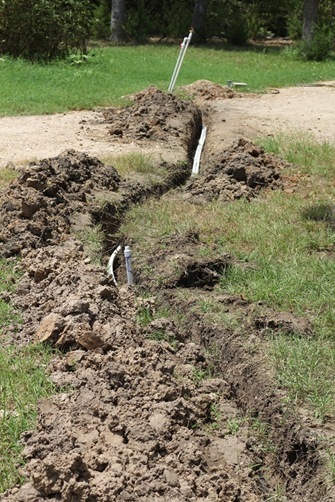 Then Brian trenched…. And pick-axed his way through the rock and clay. Pipe was laid, tested and early one morning before the sun or the kids were up, Amy covered all the ditches. Next fun project was digging holes for the rose bushes that were also a “good deal.” Due to the clay it took us (Brian) two hours early one Sat. morning to dig the seven holes. Those bushes will be a constant reminder of how much this man loves his woman. If I never get roses for valentines – I’ll just know I have bushes instead! 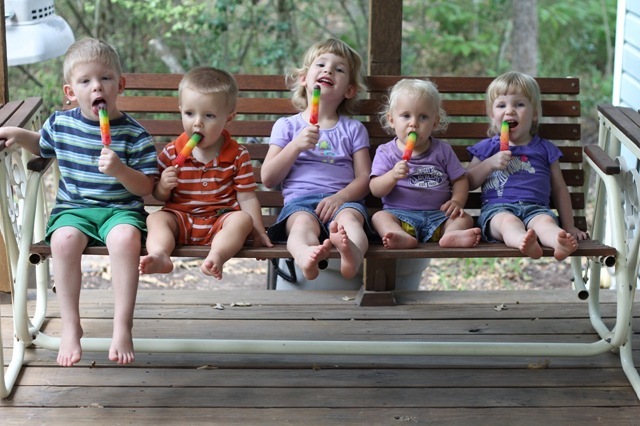 Cousins enjoying a summer time treat at Grammy’s house. 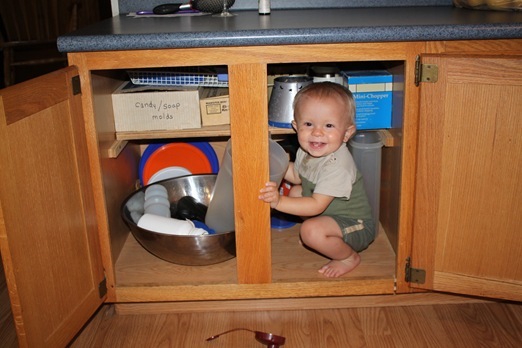 Peter taking one last stab at organizing Grammy’s cabinets before he and his parents make their move to Colorado. 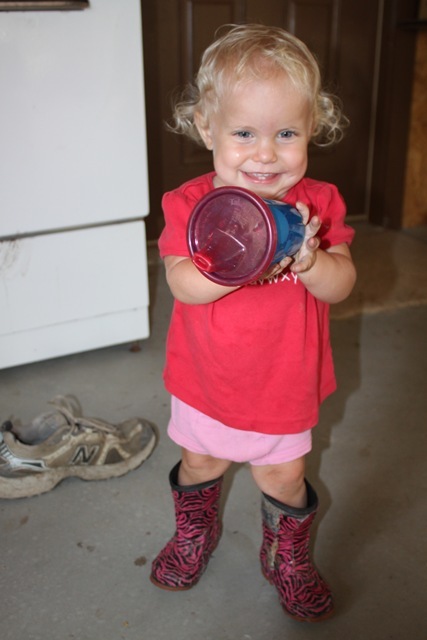 We’ll miss this smiling face! A weekend surprise – A free trampoline from an older lady down the road whose granddaughter had outgrown it. 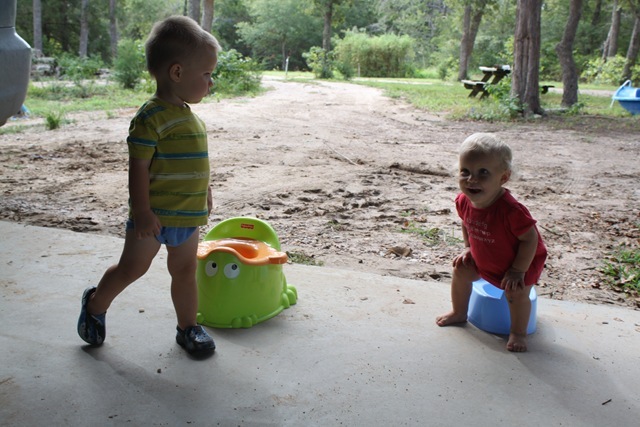 Potty training with cousin Greg – spent the morning playing in the garage to spare our floor the accidents. Eden was excited to have all the juice she wanted! 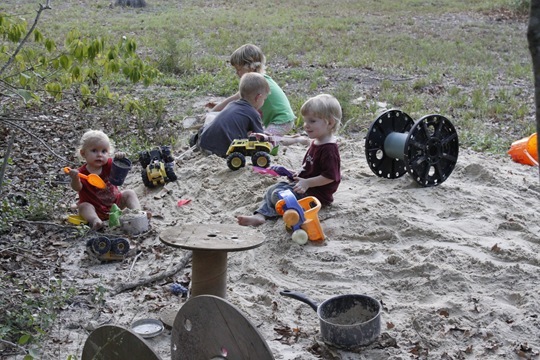 Evening playtime in the sandbox – such joy to watch all four play so happily, each busy with their own fun. 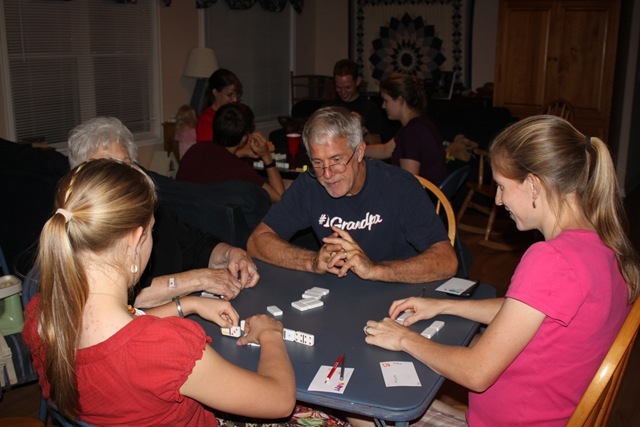 Birthday party for Amy’s dad; a big 42 tournament. Scoring methods got confused so no one could claim victory but the real fun was watching my Dad enjoy the evening playing his favorite game. What wonderful memories. We had rose bushes in our first home in Bryan. The guy who had owned the home before us was a rose bush expert. So, I had to study up on rose bushes and what all they need. They are beautiful when they bloom. Now is really HOT for them. We have one rose tree in our yard now and it is VERY hardy. 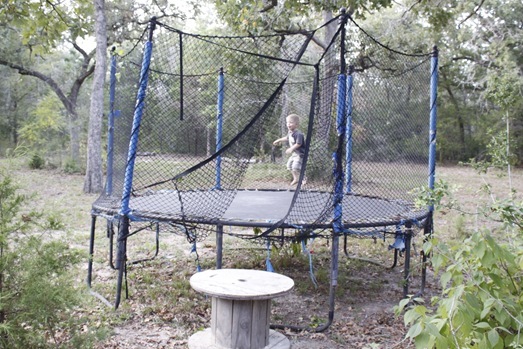 YEA, on the trampoline. We are so excited for your whole family and all your endeavors. God is GOOD ALL the time. He is faithful and true. He upholds you when you think you can’t do the next ‘hard’ thing. He covers you with His wings. Love you guys. the kids are getting big. I miss you.